Longtime, avid hunter Marshall Johnson of Bismarck, North Dakota, a Mossy Oak ProStaffer, is the senior regional director for the Mule Deer Foundation that restores, improves and protects mule deer habitat, including land and easement acquisitions, and develops programs that help mule deer and black-tailed deer conservation. Mossy Oak pros spend thousands of hours helping conservation organizations acquire and improve lands for public access, and Marshall Johnson is one of them. Although most hunters want to tell you about the animals they’ve harvested, Marshall Johnson’s trophies are the lands he’s helped to open up that once were private and today have and are becoming public access for hunters. The Mule Deer Foundation (MDF) raises money for the conservation of mule deer and their habitat. Like other organizations, we hold fund-raising banquets and events, but 87% of the funds we raise go to a specific mission, which may include seedings for native grasses and shrubs, plantings, working with Game and Fish Departments, reducing conifer production, conducting prescribed burns and doing anything else we can to improve mule deer habitat. The good news is that everything we do for mule deer positively affects all wildlife. 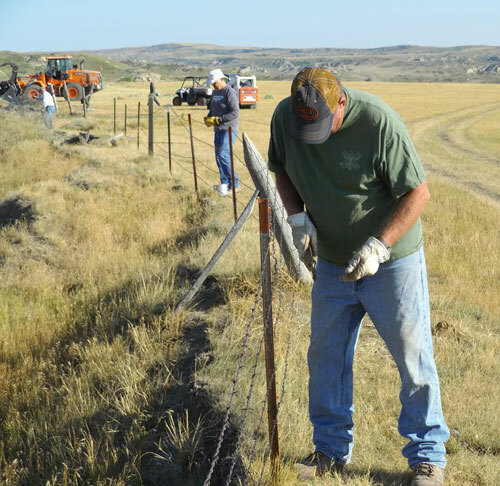 Up here in North Dakota, our mule deer groups do a lot of dilapidated fence removal, which benefits the mule deer by removing barriers that prevent mule deer from having access to more land. Some of the barbed wire we’re removing has been on the land for 75 years and is bent down and wound up. The mule deer get tangled in that wire. Another part of our effort is pulling out traditional barbed wire fencing and replacing it with wildlife-friendly fencing. If you’ve been out in the wild very much, every now and then you’ll see a carcass of a wild animal hanging on a barbed wire fence. Those sightings don’t include all the wild animals that have caught their legs in a fence, wrenched them and broken bones. Perhaps the animals have gotten 100 yards from a fence and then died. We also once found a mule deer that was collared for a study that had a big, infected gash on his leg that officials assumed was caused by barbed wire, and that mule deer later died. Throughout the mule deer’s range, there’s a lot of abandoned fencing from years of raising livestock. That abandoned fencing is causing serious problems for mule deer, whitetails, antelope and other wildlife. The wildlife-friendly fencing that we suggest is a fence that’s somewhat lower than barbed wire fencing – about 42-44 inches high. The top wire may be barbed wire or smooth wire, with the second wire being six inches lower than to the top wire. So, if a muley or a whitetail’s leg gets caught in the wire, the animal easily can pull its leg out. The bottom wire is a smooth wire, 16-18 inches off the ground for the smaller deer and antelope to go underneath. This arrangement of the wires also helps with muley and whitetail fawns. Many fawns can’t jump a traditional fence and may get hung up in it. But most fawns can go under this new wildlife-friendly fence. When we think of fencing in the West, we generally think of cattle fencing. However, the West also has an abundance of sheep fencing. Sheep fencing is probably the worst for wildlife, because it’s a woven fence and creates a barrier for all wildlife. 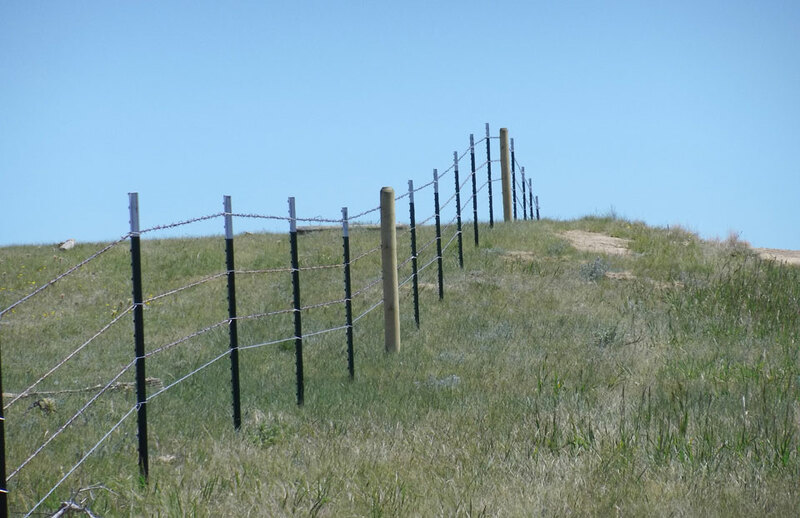 The Mule Deer Foundation (MDF) worked with a landowner to pull three miles of sheep fencing out, and the landowner is planning to pull out another two miles of sheep fencing. supporting other practices of stewardship to enhance farming and ranching. The MDF received a $475,000 grant. With the oil that has been discovered in the Bakken rock formation in North Dakota, Montana, Saskatchewan and Manitoba, that’s a widespread prolific source rock for oil, as well as holding existing oil within the rock unit itself. The economy of North Dakota has been greatly improved by the revenues coming in from the oil industry. Of course, we don’t like to see any disruption in the land. The MDF reached out to the oil industry, sat down and visited with the folks involved and told them about the many MDF members and the oil industry’s employees – both men and women – who are very concerned with wildlife. We asked them to let the MDF help the oil industry mitigate some issues. We discovered that many of the oil companies were willing to give money back to better the habitat for wildlife. Also, one MDF chapter located in Fargo, N.D., is near the headquarters of the Bobcat Company that makes farm and construction equipment. Since we were able to bring the Bobcat Company into the fold, for the last three years, the Bobcat Company has donated use of their heavy equipment at no charge and the transportation of that equipment to sites where Mule Deer Foundation volunteers and the Game and Fish Department are working on major projects to improve mule deer habitat. This gesture by the Bobcat Company has saved the MDF and North Dakota’s Game and Fish Department thousands of dollars. In the last three years, the Bobcat Company has helped us out on two major projects. The oil companies working in North Dakota also have donated additional monies, besides the monies donated to the North Dakota Wildlife Heritage Fund, to help us improve the habitat for wildlife through a matching-funds program. In one of the projects, the MDF worked with an older gentleman who had CRP land. 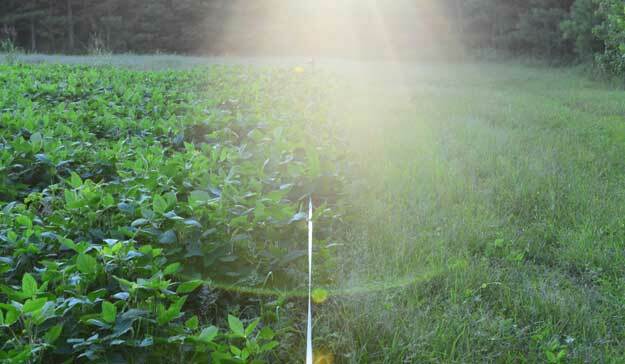 The land came out of the CRP program, since he wasn’t planning to farm or lease that land. We introduced this gentleman to the PLOTS (Private Lands Open to Sportsmen) Program that the Game and Fish Department in North Dakota supports. 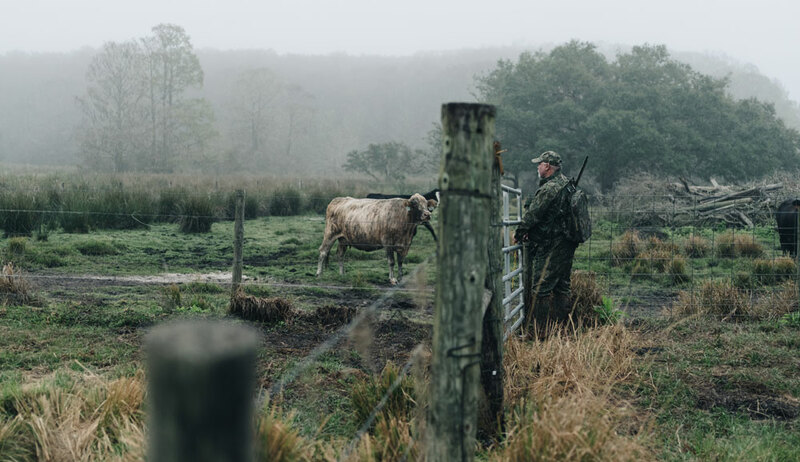 This program lets a landowner put his land into the PLOTS Program, and then the public can hunt, fish and access this property, and the state will pay the landowner a certain amount of money per acre. 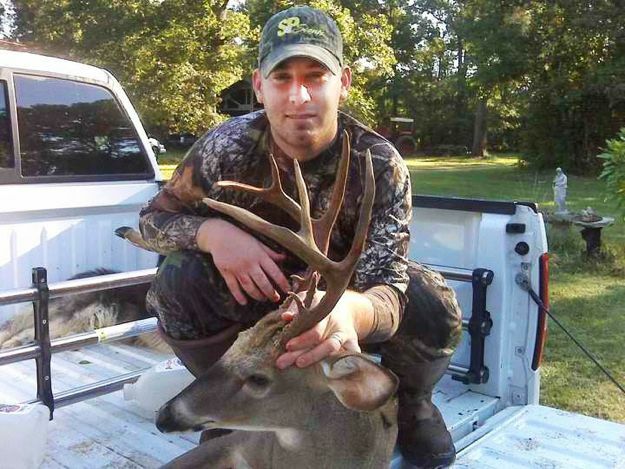 The amount of revenue a landowner can receive is based on what all that landowner offers to the sportsmen. Around 2007 or 2008, the MDF started working with the State of North Dakota to identify locations and landowners who might be interested in putting their land into the PLOTS Program. The Mule Deer Foundation agreed to share in the costs that the state would incur for the annual leasing of those properties for public use. In 2014, we had approximately 20,000 acres that we helped sponsor in the PLOTS Program. By using the money the MDF raises, we help the state to increase the number of private properties that can be opened up to the sportsmen. So, the MDF is identifying new areas that never may have been hunted or fished before and helping to get public access to that land. open the door for the energy industry to join hands with the MDF in improving the properties that are a part of their businesses or adjacent to their businesses. Anyone who has a knowledge of conservation understands that conservation isn’t cheap. Someone has to pay some amount of money to improve habitat and wildlife. The first project was near Belfield where the MDF started plowing the land and seeding it with native grasses and forbs. In one year, there was a boom in the number of deer, elk and pheasants that started utilizing that land. The following year this same landowner came to us and said, “I’ve got another 180 acres to the north of the property you’ve just improved. Can we do the same type of project on that property?” The MDF’s answer was, “Sure.” Then the domino effect took place once more. 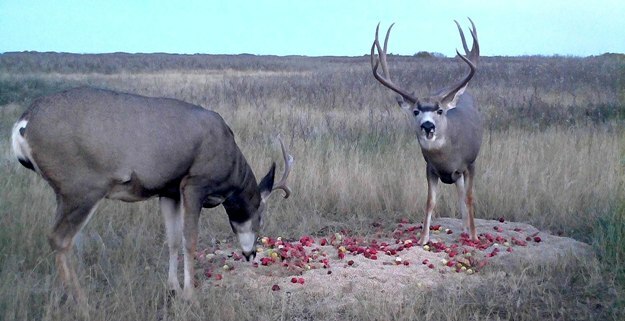 What’s the Domino Effect of North Dakota’s PLOTS Program Benefitting Wildlife and Hunters? After visiting and talking with this landowner about his new property, I realized there was a lot of work to be done on the land to improve it. This property was so big and had so much potential for public access that the MDF and the North Dakota Game and Fish decided to try to pull in other conservation organizations to help with the rehabilitation of this land, including the Rocky Mountain Elk Foundation (RMEF), Pheasants Forever, and the National Wild Turkey Federation. When I met with North Dakota’s Game and Fish Department, we knew we had to have help to rehabilitate Byron Richard’s new land on Beaver Creek and come up with enough money to pay the landowner for the use of his land. This land had wildlife other than mule deer on it. There were elk, turkeys, pheasants and other species that possibly could be hunted if we all could pull together, rehabilitate the land and put it in public access. However, we also recognized that this project was huge. 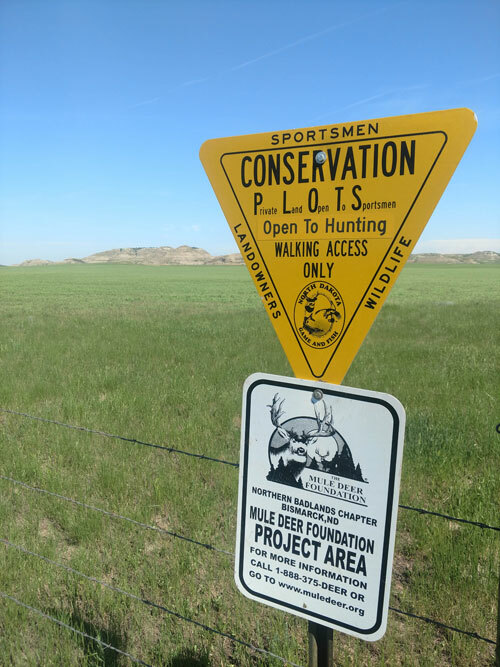 Each of these organizations (MDF, RMEF, Pheasants Forever and the NWTF) that came together to work on this property helped to fund the cash portion of the PLOTS Program. Then the organizations had to leverage that PLOTS agreement, improve the land for the landowner and make it more suitable for wildlife. We worked with North Dakota’s Game and Fish Division, the U.S. Forest Service, the USDA and county extension offices and developed a plan to determine how we could improve this land and make it better for grazing and better for wildlife. First we pulled out 10-12 miles of tipped-over fencing that contained very bad wire. We did this with the help of volunteers from the various organizations and some volunteers from the oil industry. Because the Bobcat Company supplied the equipment to enable us to pull, roll up and haul out all that bad wire. We also replaced all the fence on that land with wildlife friendly fence through a cost-share program with the landowner. We broke this land up into 15 manageable pastures, which also broke up the Beaver Creek access into 15 or 16 access points to the property. By fencing off the Beaver Creek area, we’re allowing the riparian region (the interface between the land and the creek) to come back. When cattle are put into one of the 15 pastures to feed, they’ll not be allowed to return to that same pasture to feed for about 18 months to give that riparian area time to come back with new growth. In just two years, this 20,000 acres homes great numbers of mule deer, elk, turkeys, upland game and other wildlife. Because all the organizations involved wanted to limit access to Beaver Creek, we had to find a way to help get water to the owner’s cattle. We developed a cross-share program to solve that problem. In the last three years, the groups involved have spent about $240,000 on habitat at this land, and in return, the landowner signed a PLOTS agreement that was the largest PLOTS land agreement (converting private land to public-access land) in the history of North Dakota. In that 20,000 acres there were also three school trusts plots that are one square mile that previously had been inaccessible before due to the private property surrounding them. This new PLOTS land was not only the largest private land holding enrolled in the PLOTS program but also the longest term of a PLOTS program. The landowner signed an agreement to leave his land in public access for the next 10 years. This land that has been rehabilitated for wildlife now can be used by the general public. These PLOTS programs have been so successful that at this writing in late September, 2018, the MDF has six more projects we’ll be working on this year. Three of those projects are new lands that are being added to the PLOTS program. In 2014, the MDF helped sponsor 27,000 acres in the PLOTS Program. Today the MDF is helping to sponsor 72,000 – 73,000 acres in the PLOTS Program, a tremendous increase in the amount of land that the public now can utilize, although the land is still private. Last year (2017) on opening weekend on the new 20,000 acres, eight bull elk were harvested, and that number didn’t include the number of deer harvested. Preparing for a hunt can be just as demanding as the hunt itself. Before going on any hunt, make sure you have the following 10 must-have hunting supplies on hand and ready to go. We got a piece of cardboard and painted it red and brown, the same color as the cows in the pasture. We cut several holes in the cardboard and painted black around the holes, so they would look like spots on the cow. We could look through the holes, video through the holes and even could put our guns through the holes. Then we could shoot when we got close enough to the gobbler.